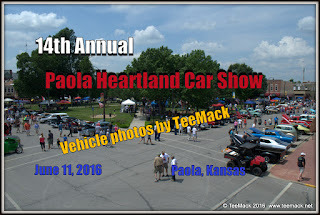 The 14th Annual Paola Heartland Car and Truck show held on the historic square in downtown Paola, Kansas on June 11, 2016. The featured vehicle was the original “California Kid” hot rod. Route 66 Band provided the music. There was also a pinup contest and a robot demonstration. 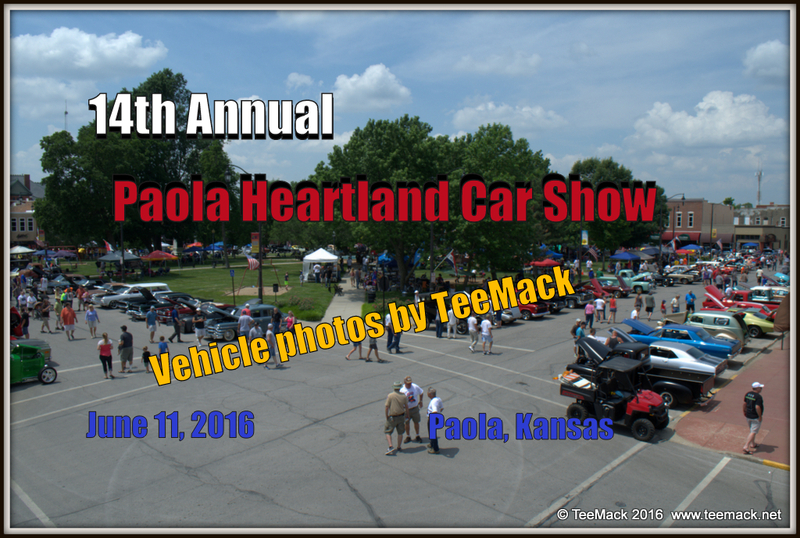 Almost 300 vehicles were on display with temperatures reaching 97 degrees around the town square. There was a 50/50 pot, numerous drawings for special prizes and 25 Trophy’s were hand out. Click here to view individual photos or to purchase high quality prints.